Created for the first time in 1964, SURCAR has evolved from a two days Congress held every 2 years in the South of France to a Worldwide brand dedicated to the Automotive Body and Paint Finishing Industries with an event portfolio all over the world. 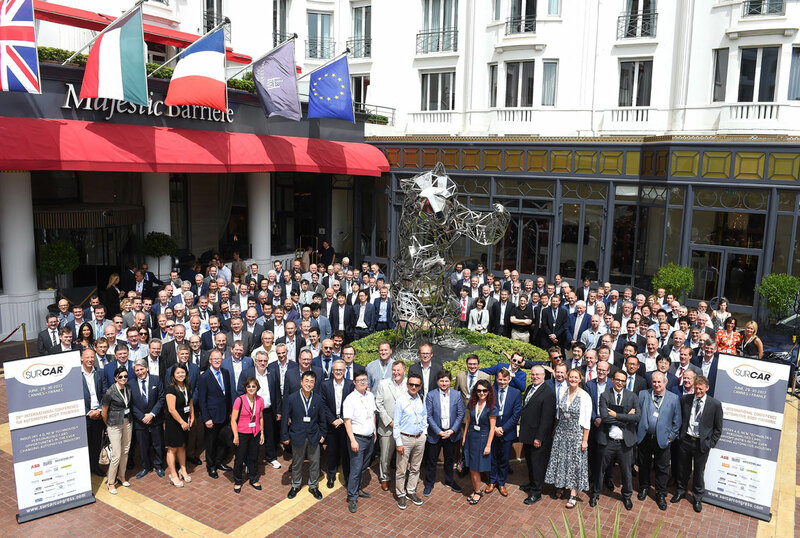 SURCAR Cannes gathers more than 250 delegates from the Car Body Surface Finishing Community at each edition of the Congress. Since it was founded in 1964, SURCAR quickly became the Bi-Annual meeting for both International Automotive Original Equipment Manufacturers with their specialized Surface Treatment, Sealant, Paint Materials, Equipment and Facilities Suppliers. Every new edition of the SURCAR Congress allowed decision makers of the Paint Finishing Community to discover innovations presented by Top-level experts from all over the world. The Program is carefully established with the Help of an International Technical Committee of Surface Finishing experts and focuses on Innovations of Paint Materials and Equipment, new Clean Technologies, Surface Treatment developments, Feedback and Benchmarking of Installations, Materials and Processes as well as latest steps taken to meet the Environmental Challenges. 2014: SURCAR moves to Asia! The success of historical SURCAR Cannes led to the addition of a SURCAR Congress for Asia held every 18 months in Shanghai. More than 250 delegates have attended the first 4 editions of SURCAR Shanghai Congress, which have become the annual leading Congress for Asian decision makers of the Automotive Body and Paint Finishing industry, offering major networking and business opportunities to the Asian Community. To keep Networking active in between two congresses, SURCAR launched in 2016 several Specific Workshops and an International AWARDS Event to reward noteworthy Projects and Processes, which gave Automotive OEM and their Suppliers useful opportunities to meet several times per year. 2018: SURCAR expands to North America! Following its successful events in Europe and in Asia, SURCAR expanded into the North American market by organizing its first congress in Detroit (MI, USA) in June 2018. Over 200 highly qualified Automotive Experts came together to participate this milestone Event. 35 Speakers from US and World Car Manufacturing and Paint Material & Equipment supplier companies presented and debated about Paint appearance, Paintshop upgrades and trends, Paintshop development and environment, and Paintshop innovation. Based on the SURCAR Congress Satisfaction Survey, 95%* of participants were very satisfied or satisfied with the event! A regular gathering is now scheduled every year in June in DETROIT to keep the members connected in a meaningful way.